Pro-Line now has the ultimate licensed Chevy body specifically made for the X-MAXX – the 2019 Chevy Silverado Z71 Trail Boss! The just released full size 2019 Chevy Silverado is extremely popular and has a distinct look that will separate your truck from the rest. 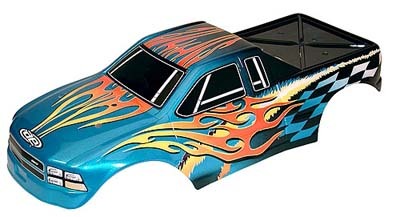 Pro-Line has included all the aggressive scale detail into the body and sticker sheet for a highly detailed replica and it comes Pre-Cut to get you going faster. This body completely transforms your X-MAXX into an even crazier Bash Machine and allows you to add a custom paint job! 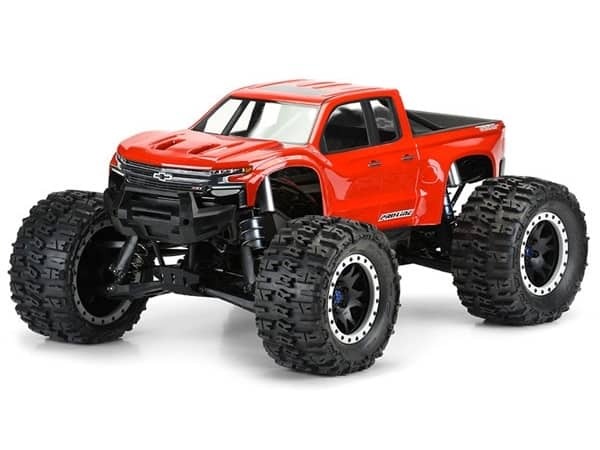 Give your X-MAXX the tough off-road look it deserves with Pro-Line's new Chevy Silverado body! All Pro-Line bodies are sold in crystal clear lexan and are painted for advertising purposes only.